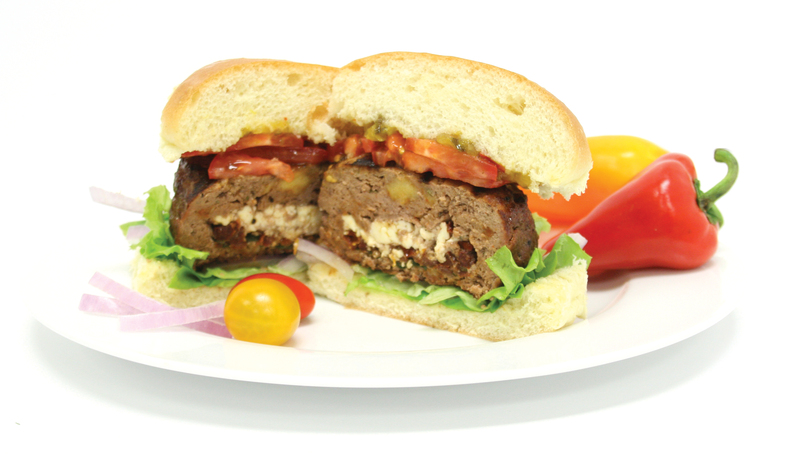 Stuffed burgers offer a great way to create unique and interesting flavor combinations. 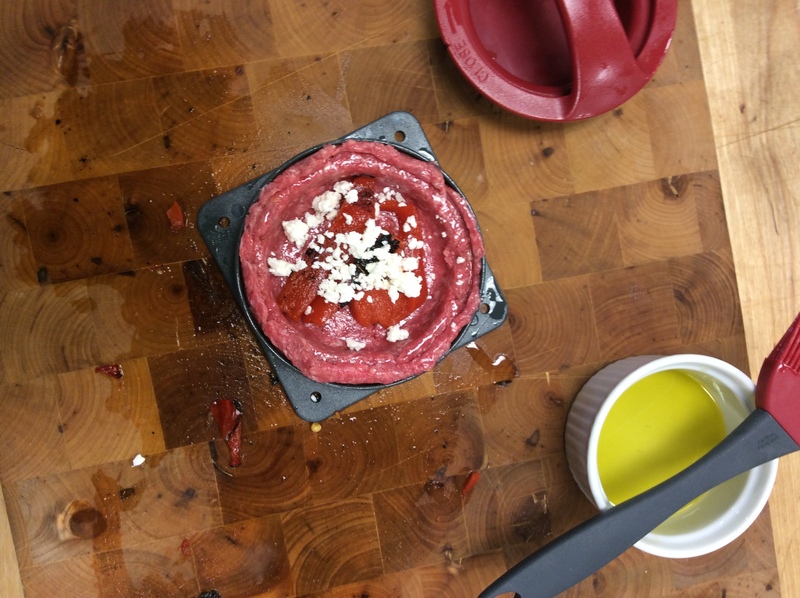 A stuffed burger press, like this one from GrillPro makes it so incredibly easy to build stuffed burgers that it will become your go-to every time you make burgers. Gently combine burger ingredients with your hands, being careful not to over mix. Form meat into balls slightly larger than a golf ball. 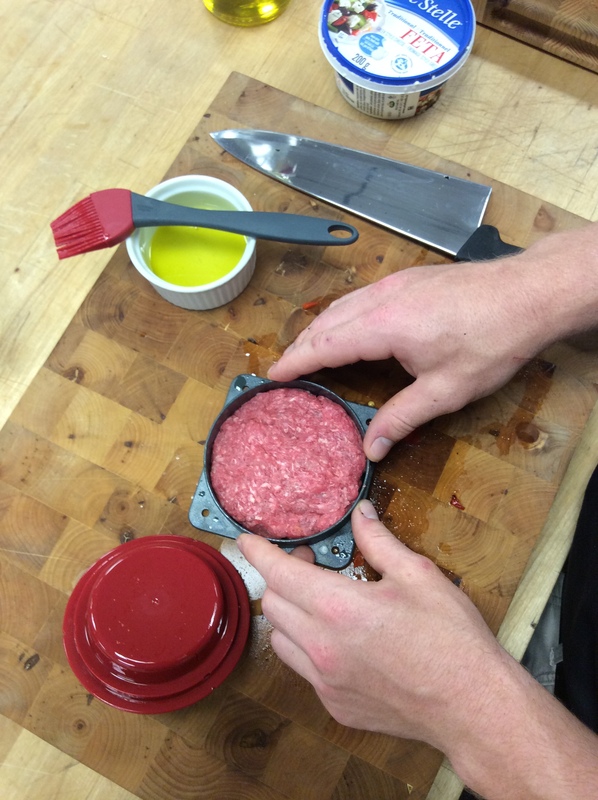 Load a portion of seasoned beef into the already oiled burger mold. 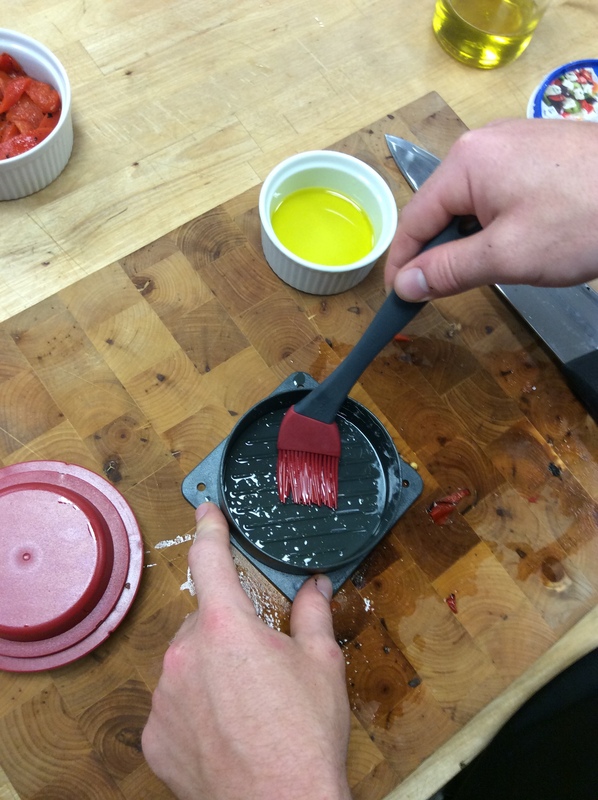 Use the smaller, red handled press to create the pocket for your burger toppings. Gently fry bacon in a large fry pan until slightly brown. Drain off the fat, but leave 1 tbsp in the pan. Add the chopped mushrooms, onion and jalapeno pepper. Continue to sauté until the vegetables are brown, but not crispy. Remove from heat and allow to cool. Combine with grated cheese and BBQ sauce. Use 1 tbsp per burger. Saute the onions and mushroom in butter or olive oil until soft and caramelized. Remove and let cool. Combine with grated cheese. Use 1 tbsp per burger. Combine the goat cheese and sundried tomatoes and divide among the burgers. Finish building the burger and grill. Top with bruschetta, spinach and spread the pesto onto the bun in a thick layer. Use thick cut toasted sour dough bread as an alternative to buns! ! 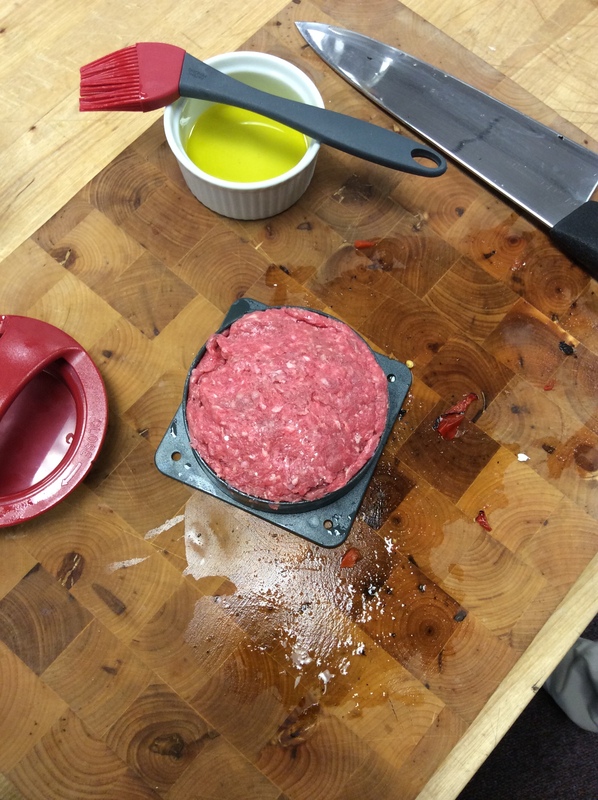 Using a portion of meat, finish building your burger – use the larger red burger mold to complete the patty, and oil the top liberally before inverting onto a cutting board and carefully removing the mold. 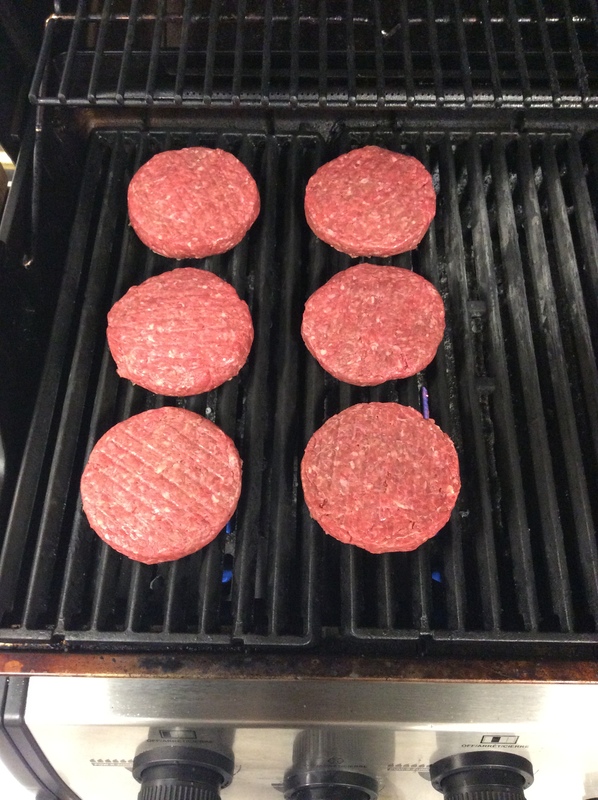 When cooked, let your burgers rest for 5 minutes before plating and serving.